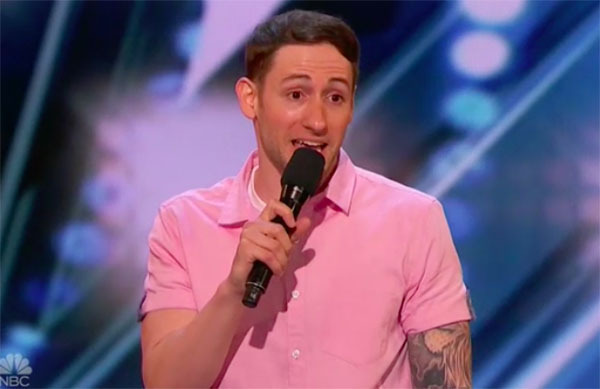 Standup comedian with Tourette syndrome Samuel J Comroe drew laughs on America’s Got Talent Season 13 Auditions Week 3 Episode on Tuesday, June 12, 2018. “I love that you make it to a positive and hilarious thing,” said Mel B. “Im very impressed because you are so talented,” said Heidi. “You are an incredible guy. I really like you,” said Simon. “Laughter is the best medicine and you are amazing,” said Howie. Watch his performance on the video below. Samuel J Comroe gets four yeses from the judges and he is moving to the next round of the competition. What can you say about Samuel J Comroe’s performance? Share your thoughts below. America’s Got Talent is an American reality television series aired on NBC, and part of the global Got Talent franchise. It is a talent show that features singers, dancers, magicians, comedians, and other performers of all ages competing for the advertised top prize of one million dollars. AGT Season 13 airs every Tuesday on NBC. Tyra Banks serves as host while Howie Mandel, Mel B, Heidi Klum and Simon Cowell serves as judges.